When you build your new healthcare website you must plan for Search Engine Optimisation. All too often, SEO is a neglected afterthought. And just as often, a poorly performing website will need major repair work or a complete re-build. Surprisingly, it comes up often. Just the other day, a practitioner proudly asked us, “What do you think of my new healthcare website design?” The site was already done. They wanted applause, not constructive criticism. Unfortunately, there was little to praise. Predictably, the well-intended web-designer had a “pretty” design that was devoid of meaningful SEO content & impact. In short, this website wouldn’t deliver an effective message, and worse, visitors would rarely find it online. Regrettably, Do-It-Yourself (DIY) web developers, and many professionals who don’t understand the Healthcare industry, miss the mark on several counts. Poor or non-existent Search Engine Optimisation (SEO) is the worst healthcare website design offence. 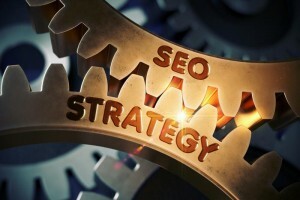 Without SEO, it never connects with the audience. The planning and development process for an effective website considers two primary audiences. First are the human visitors. Text, visuals, colour and other design elements communicate the marketing message. Many web designers never get beyond the superficial appearance. Unfortunately, “what looks good” can often be harmful to effective marketing and advertising unless it is backed up by the much more important element, authority content. The visual elements of a healthcare website are highly important. But the design, graphics, layout and other components are only part of the success factors. Having worthwhile, relevant and informative content on the site is paramount to good ranking. The Internet’s search engines—Google, Bing, Yahoo, and others—are the other considerations in site design. Effective Search Engine Optimisation includes the strategies and tactics that cause the site to be among the top local and organic search results page listings. That means greater site visibility and more visitors. SEO is a significant part of a digital marketing plan that delivers the new patients you want. The ideal time to plan and build SEO is from the start of the project. Search Engine Optimisation often involves technical and unseen techniques. SEO is a continuing challenge, in part because there are roughly 200 or so ranking factors used by Google. It only makes sense to work on SEO from the initial design and build out. Mobile-Friendly: The desktop appearance isn’t the only stage for your website. It needs to be easily readable on the ubiquitous small screens of tablets and smartphones. Better than half of online searches are by a mobile device. And Google, the largest of the search giants issues a penalty for “mobile-unfriendly. Crawler-Friendly: Search engines view website content by way of robots that index webpages. If a site is formatted in a way that is unfriendly, or “poor,” to the robots that crawl your site, search rankings are likely to also be poor. Optimised Authority Content: It has always been said that content is the king of the Internet. With Google and other search providers placing an increasingly heavy focus on powerful content, healthcare professionals are finding that authority is oftentimes more important than search engine optimisation. Search Engine Optimisation is a challenging, and often technical, process. SEO is not D-I-Y. Additional considerations include architecture and navigation, functionality, security and many other factors. Ultimately though, if you don’t have good content to kick things off, the rest won’t really help.